A rich and concentrated St. Emilion with a lovely silky texture which is almost without faults. An intense, fresh and elegant Saint-Emilion with a complex, refined and ripe nose and a delicious palate preceding an exceptionally long finish. 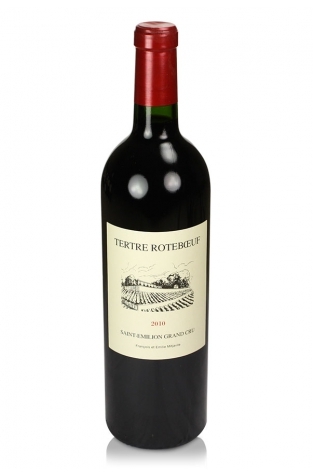 Château Le Tertre Rôteboeuf, Saint-Emilion Grand Cru, 2010 is a brilliantly rich and concentrated red with a beautiful silky texture and almost faultless in every way. 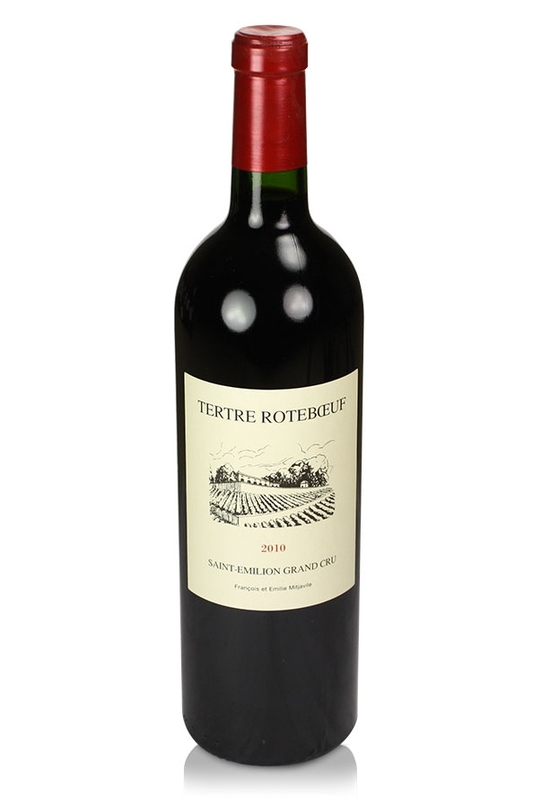 This is an intense, fresh and graceful Saint-Emilion with a complex, refined and ripe nose and a beautiful palate preceding an exceptionally long finish. Pure and complex with soft tannins, this is a Saint-Emilion of first growth quality from what will go down as a great Bordeaux vintage. This sophisticated wine is not ready to drink yet and should be laid down for at least the next 4 years. Mark Savage, Master of Wine, said about the vigneron Francois Mitjavile "My happy collaboration with this charming genius dates from his debut at Tertre Roteboeuf in the late ‘70s and I have been richly rewarded with an unbroken succession of over 30 vintages, each of them a perfect expression of both the vineyard and the vintage. There are no secrets to his success beyond the minute attention to detail at every stage and a willingness to devote more man hours per vine than any other Bordeaux vineyard I know in order to produce fruit with perfect physiological maturity by the time of harvest. His obvious passion is backed up by his profound understanding of his own ‘terroir’ and the ‘savoir faire’ needed to realise its full potential. I have learnt more from him than anyone about the things that can turn a good wine into a great one." Wine guru Robert Parker is equally effusive about this small right bank property.